As I am currently under the weather, this review is going to be much shorter than I’d like, but release day is coming up and so I want this to be out in the world. I LOOOVED Toxic Desire, the first book in the Planet of Desire series by Robin Lovett. It was one of those books that had a lot of buzz among the people I follow on Twitter and I decided to check it out on a whim one day, especially since at that time I was still trying to complete my Popsugar 2018 challenge (I’ve given up on that, y’all.) and it filled the requirement for set on another planet. Dr. Rose Franklin stumbles on a giant hand in her youth, an amazing discovery that she’s delighted to study later on, in her career as a physicist. The story that embarks from there covers a lot of ground. The story is framed by an unnamed narrator, whose identity is a mystery, and that mystery is brought up again and again by the people that he interviews. There are so many characters, I don’t know if I can name them all. There are a few key figures here, though, and they all have their own individual arcs within the larger story. This is the first batch that Sweetpea is legitimately interested in the books. None of the ones in this batch are particularly geared toward her age range, but she did express an interest in a couple of the ones that were shorter in length. We also got a ton of books about being a flower girl and about death (nice mix, right?) for some timely concerns, and those have usurped requests for this batch. I guess none of them were super interesting for either girl, but we always have the next batch. So this book was bizarre. It had no words or context, just a variety of pictures. It was sort of like a graphic novel in sepia tones and with aliens or something. I had to describe what was happening in each picture to Peanut and it got to be a little tedious. Also, neither of us really understood what was happening. There was a family, with a father-type figure leaving for a new place, and the little cute monster depicted on the cover. Some kind of alien-takeover situation was happening. I really just didn’t know what was going on. I did my best at explaining it, but it was a blind leading the blind type of thing. This book was written in order to hopefully eke out sympathy from his fellow Australians towards refugees. The author said he was also inspired by the 1978 book The Snowman. Peanut enjoyed this book because it was silly. 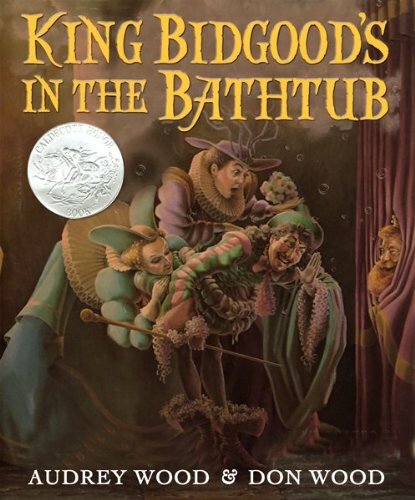 The premise is that the King is in the bathtub, and a variety of subjects try to encourage him to come out by suggesting a fun activity, but the King decides that those activities can just as easily be done in the tub! This means that his bathtub is huge, and he also bathes with his subjects. Pretty weird. Of course, kids don’t think a bunch of adults bathing together is weird, so it definitely works for this age group. In the end, the clever page just pulls the plug (glub glub glub!) and so the bath time shenanigans are over. On the author’s website, she has a couple of photos of people that posed as characters for them to draw for the book, so that is pretty cool. There are three Wood authors, the husband and wife along with their son, and together they have created many popular children’s books, including The Napping House. Audrey Wood had a pretty interesting childhood spent among circuses, which probably has inspired her whimsical style of art. Our first Seuss! This book had a bunch of stories in it, but the longest one was The Sneetches. To an adult, it is obviously a story about racism and class differences, and how we have prejudices that aren’t fair and use them to oppress and exclude others. I’m not sure that the point of it got across to Peanut (and Sweetpea could barely sit still through the whole thing), but we were able to get across that the behavior of the Sneetches was “not nice”. What else can you hope for? One thing that I appreciated about the stories was that it wasn’t just pointing out and demonstrating poor behavior, it was actively saying it was bad behavior. I find some stories for children aren’t explicit enough in this, and then children are confused over what type of behavior is appropriate to emulate. It’s not enough for the bad characters to not be the heroes, or maybe not “win”, but the particular bad behavior needs to be labeled as such for the kids to get it. 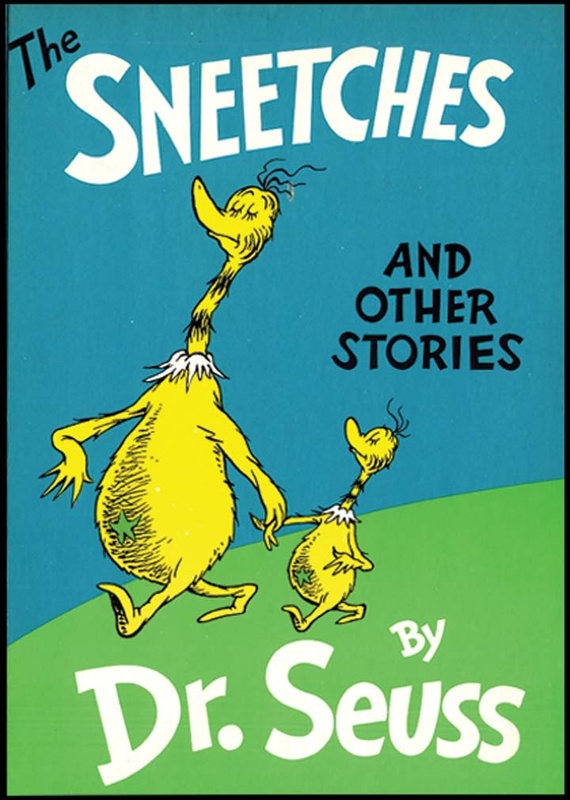 Theodor Geisel (aka, Dr Seuss) said that the Sneetches story was satire based on how he felt about antisemitism. The Sneetches have also inspired a lot of musicians, as they have appeared in song lyrics by artists like Bikini Kill, Dead Kennedys, and Ben Cooper, among others. This was a regular picture book printed on regular pages, but I felt that it was a little too flimsy for the cut out style of it. 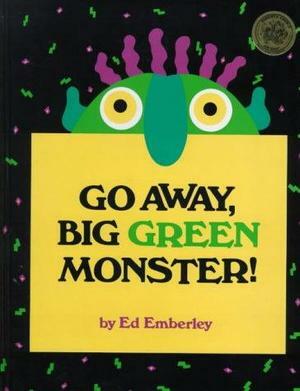 The book starts with eyes, and as pages are turned, more features of the Big Green Monster are revealed. Midway through the book is the entire monster. Then, the book’s narrator (which seems to be a child from the voice, but is never clarified) starts telling each specific feature to go away, until the monster is gone. “And don’t come back until I say so!” The library copy that we had obviously had some wear, because there were a few rips on the pages. A cardboard page design would have been much better for this book. Both girls liked it; Peanut liked the story and the idea of telling the monster to go away, and Sweetpea liked looking at the disappearing and reappearing pictures. Despite Emberley’s rather long bibliography, he mostly appears to make books that are instructional rather than for reading. He has several dozen books about drawing. I personally find it ironic that he has so many drawing instruction books when the art in Big Green Monster is very rudimentary. We’ve had this book awhile (and have enjoyed the classic animation many times). It was one of the first picture books that we bought and it took awhile for Peanut to be able to sit through the entire thing. It is pretty long. Peanut likes to recite Cindy Lou Who’s lines when she finds Grinchy Claus taking away the Who Christmas tree. Sweetpea is still too young to enjoy this, but I’m hoping she will grow to love it as well. This book was apparently simultaneously published on its own and in an issue of Redbook magazine in 1957. I find it interesting that Geisel wrote the book in a matter of weeks except for the ending, which stumped him for several months! His wife was ill during the time that he wrote it, but she was able to help with the editing. The Grinch is such an integral part of our culture now that we refer to just as many Christmas curmudgeons as Grinches that we do Scrooges. (There is a semantic difference though – Scrooges generally imply some kind of greed or lack of generosity, while Grinchiness seems to be just general grumpiness. I feel like there may be a thesis paper in there somewhere.) 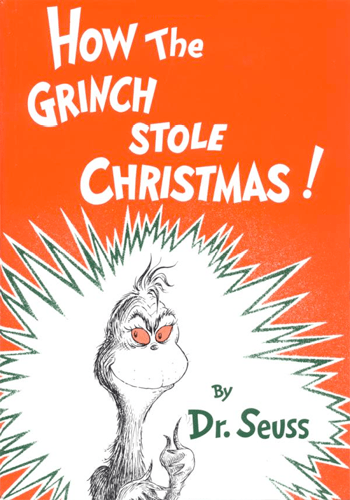 I found it surprising to learn that Geisel considered the Grinch to be modeled on himself. Hopefully, his own heart grew three sizes after completing it. Next time, we have more holiday books, which is timely, since the holidays are around the corner!